These hooks are the result of long term development in co-operation with the major Czech competition fly fisherman Ja Ja Sram Vladimir Sedivy Vit Misar. 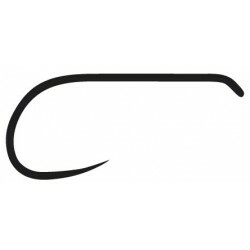 Exceptional shape and design, incredibly increases the success of hooking and getting the fish under control. 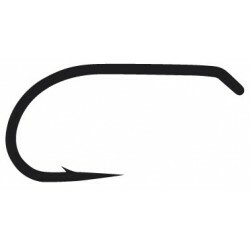 Thanks to the barbless design, they are considerate to fish, the extreme efficiency of these hooks is significantly raised by the use of high carbon steel and extra long needlepoint. 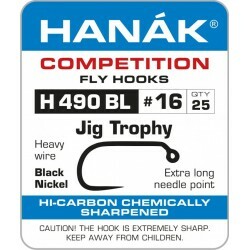 Hooks There are 39 products. 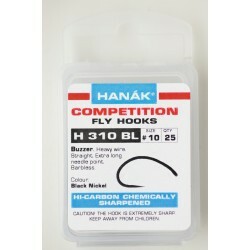 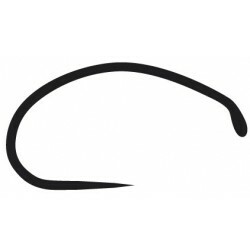 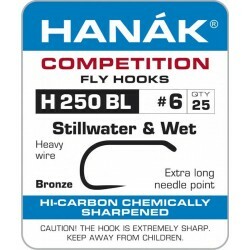 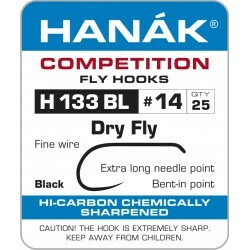 Hanak competition fly hooks. 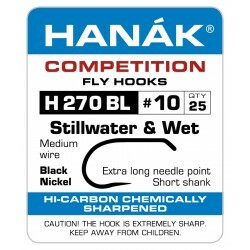 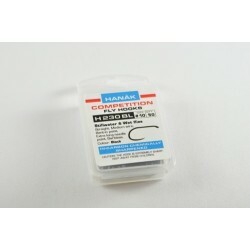 H270 BL Stillwater & Wet﻿ Medium wire, black nickel, extra long needle point, short shank. 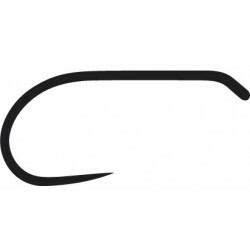 Original Czech Nymph. 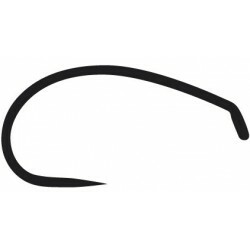 Shrimp Caddis Pupa Buzzer Straight Extra long needle point Medium wire Barbless. 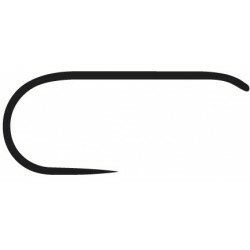 Colour: Bronze Quantity: 25 Sizes: 10 12 14 16.